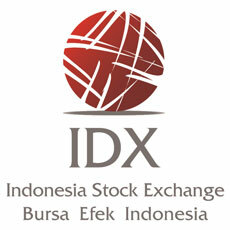 "BRI is committed to manage the bank business by applying the principles of good corporate governance. In order to achieve this, BRI Management is transparently and fair in managing the complaints of violations (Whistleblowing System) from internal and external parties." Whistleblowing System (WBS) is a tool provided to BRI’s Internal and External Reporters in conveying information on indication of violations in the environment of BRI environment. The indication of violation information will be followed up according to the mechanism determined by the Company. BRI has implemented the WBS since 2013 and reviewed the policy in accordance with Letter of BOD of BRI No.S.27-DIR / DKP / 12/2016 dated 30 December 2016 on BRI WBS Policy. Unlawful acts (use of violence against employees or leaders, extortion, drug abuse, sexual harassment, other criminal deeds). Breach of Standard Operating Procedure (SOP) of the company. Violation of BRI’s Code of Conduct and potentially violates the GCG principles. Acts that endanger safety and health or endanger corporate security and harm the company. WBS policy information to all employees through BRI internal portal. Poster campaign on WBS information at the Branch Offices, Sub Branch Offices and BRI Units. Disseminate WBS materials at the in-class training of Employee Development Program pengembangan. Implement WBS e-learning to all BRI employees. Onsite WBS dissemination to Work Units. BRI provides protection to Whistleblowers in a form of confidentiality of personal data and reported information. Provision of protection is also given to the internal Whistleblowers from any pressure, postponement of promotion, discrimination, dismissal, until physical action. The management of WBS is under the President Director and monitored by the BOC through the Audit Committee. The President Director shall establish the WBS Management Unit responsible for managing and following up the indication of infringement report. Report received by the WBS Management Unit. The WBS Officer will perform the initial verification and analysis of the infringement indication information within 20 working days and then submit it to the WBS Managing Unit Leader. Checking and ensuring report of indication of violations as per WBS report criteria. Subsequently decided the follow-up of the WBS report to the Investigation Work Unit. If the report does not meet the criteria, then the indication of the violation will not be followed up. The Investigation Unit investigates the infringement indication information. Subsequently submitting the report on the results of the investigation and recommendation to the WBS Management Unit. The WBS Management Unit will write to the Authorized Work Unit to follow-up on improvement and sanction on the recommendation of the Investigative Work Unit. The Authorized Working Unit shall follow up the remedy and sanction to the Reported Party. The WBS Management Unit monitor the follow-up improvements made by the Authorized Work Unit. The Authorized Work Unit submit reports on the realization of improvements to the WBS Management Unit. The WBS Management Unit ensures that follow-up improvements have been adequately undertaken. WBS Management Unit reports recapitulation and evaluation to the President Director and the Audit Committee on Quarterly basis. The number of violation indication reports received during the year 2017 is 65claims. Cumulatively, since the initial implementation of the WBS system until 31 December 2017, the number of indications of violations reported through the WBS means as many as 1,719 reports. Administrative sanctions such as Written Warning.